Facebook ads is simple the best social network. Nowaday people have different product to advertise. With facebook ads you can advert your product to reach millions of people. Facebook is the biggest social media platform in the whole world till date. Facebook core mandate or mission is to connect the whole world together. Through Facebook, we can connect with friends, family, even unknown, lost friends, distant relations, business partners, customers, and many more categories of people. If you have a brand or business or ideology at all, and you want it to get across to people all around the world or in your country or other interest and demographics, Facebook is the best means to spread your products and services. To achieve this, you will have to pay to promote, or advertise to people that may be interested in your product. One of the major means to adervertise on Facebook is via a good Facebook page. 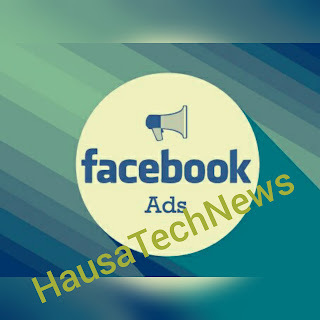 If you are planning to reach more people on Facebook via ads, you will create a good Facebook page and have more visitors, where you can now boost or promote or advertise your page, your post, your website, event etc through your Facebook page. You are charged for your ads on facebook after the ads or campaign as run completely. But before this can happen, facebook will first ask you to provide your credit/debit card details or PayPal details so as to be sure your details is acceptable for payment by facebook. If your card details is acceptable as at that time of putting it for the facebook ads, then you can promote your product, but if not acceptable, you will have to look for an acceptable card whether visa, MasterCard, PayPal et al or link up with another person that runs ads on fb and negotiate with such person. but trusted person. so that he can't betray you one day..
Facebook ads is so flexible and you can set a lot of parameters. Eg country of those that will see your ads, location, age group, their interest. You should be able to determine the audience of those you are advertising to. E.g you can advertise from Nigeria and decide to select USA, UK, Europe, facebook users to see your ads. You can select interest like gaming, love, relationship, business, forex, investment etc so as to target likely interested people. You should be able to know the amount you want to spend for fb ads and how long it should run. As at the time of writing this 23th Feb, 2017, the minimum you can spend on fb ads in dollars is $1 dollar and this can run for a whole day. It is so flexible and quite affordable. Personally, I advertise from Nigeria using my naira account though it is cheaper when you have a dollar account to pay for your ads. I tried using two ATM cards of MasterCard from FirstBank and Zenith Bank but it was declined but when I used Visa card from Access bank account, it was accepted. When I request to pay for my completed ads, I was charged N325 naira per dollar. This is fairly cheap because banks have been charging dollar at the parallel market price which hovers around N400 – N500 naira. May be there is a partnership between facebook and Nigerian banks like Access Bank.